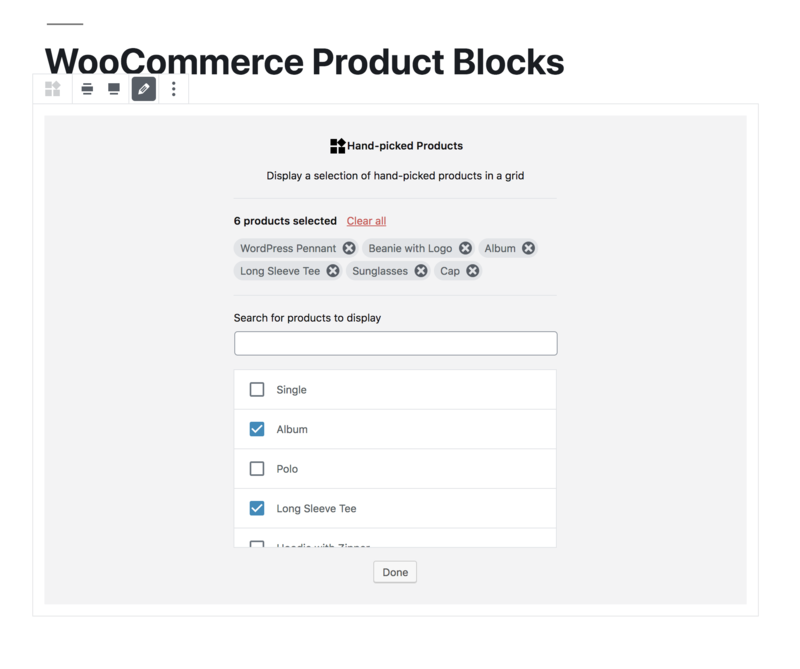 Version 1.3.0 of WooCommerce Blocks is now available as a feature plugin. It’s the easiest, most flexible way to display your products on posts and pages! Select and display a single product in a new, high-impact fashion. Control text alignment, hide or show the price and description, add a color overlay, change the button call to action, and override the product photo. The Hand-Picked Products Block lets you quickly search and display products of your choice in a grid. We’ve also improved the category selection filter. If you select two or more categories, you can now chose to show products that match ANY or ALL of your selected categories. We’re planing a 1.4 release for the last week of January. 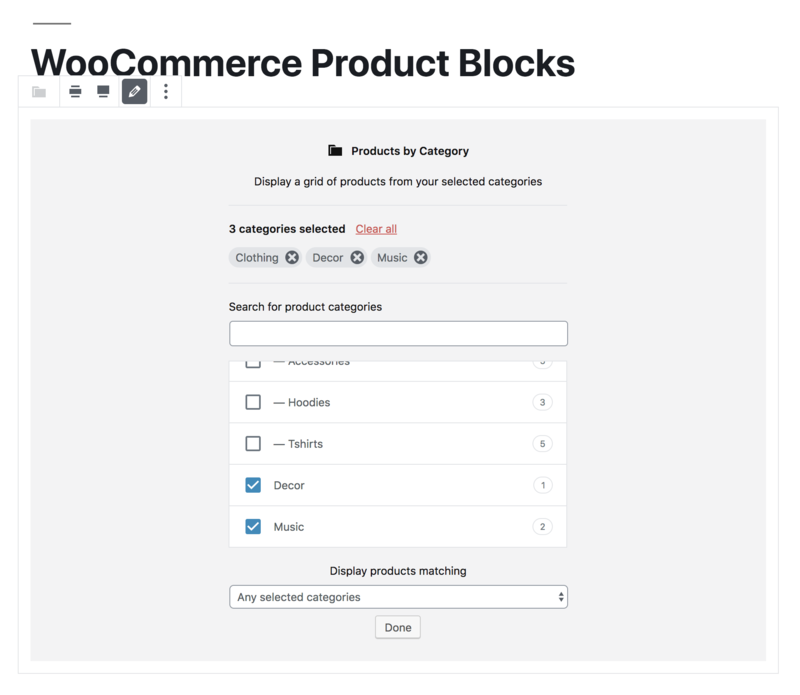 It will include further enhancements to the Featured Product block, and we’ll be adding a Products by Attribute block as well. In this release, we’ve removed the legacy “Products block” from the inserter (Although it’s still a registered block type, so if you’re using it your layouts, nothing will change.) In a future release we plan to remove the dependency on the products shortcode, which will give us more flexibly in controlling the layout within the block. At that point we’ll sunset the legacy “Products Block”, and provide paths to transform them into the new blocks if they need to be edited. Blocks that are further out on the roadmap include a Reviews Block, and a Featured Category Block that would behave in a similar fashion to the Featured Product block. As always, if you got feature requests, or spot any bugs, please log them in detail on Github.